March 25th marks a momentous day in the realm of fantasy. For fans of The Lord of the Rings, today is the anniversary of Sauron's final defeat, the beginning of the Gondor new year, and the official Tolkien Reading Day. (You can read more about the special, literary day here.) In honor of such a celebration, we've decided to return to the heart of this fantasy epic: the characters. However, since it's Tolkien Reading Day, we've gathered around the table to share a metaphorical pint and to discuss our favorite Tolkien book characters. From Bilbo Baggins to Tom Bombadil to Yavanna, here is why we love Tolkien's characters. Aragorn has remained my favorite Tolkien character ever since I first read the books as a pre-teen. Aragorn is, in my eyes, one of the greatest examples of a virtuous human being in fiction. In all aspects, he is a respectable man and deserving of his greatness. His relationship with Arwen Evenstar is an example of a couple that completely deserves each other and works in unity to strengthen each other. Their connection has empowered the final side of his personality that needed to be whole in order to become the greatest ruler to ever live. Who could say that they deserve power like that? No one but a humble fighter like Aragorn. Another aspect of Aragorn that I respect is that he looks to his elders for wisdom and truth. He doesn't rely solely upon his personal knowledge; rather, he looks to the great minds of Elrond and Gandalf. Many characters in novels take a selfish route to greatness and feel that they can't ask for help because they fear looking "weak." Aragorn knows that it would be of no good to try to achieve his goals this way. He was guided by Gandalf back to the throne, which was rightfully his by lineage. Aragorn's road to the throne was humbling, and through this, he gained the trust and respect that he needed to become a great and powerful King. He rose from the bottom, among the wild rangers, looked down upon even by travelers. He lived years at the bottom and never complained about his toil. The honorable personality that Aragorn releases into the world is one that I'll always adore. Each time I read his parts or watch the films, I come away from it learning ways to be a better person. Aragorn always inspires me to work for my dreams and live humbly while doing so. Faramir is the second son of Denethor, Ruling Steward of Gondor. Unlike his brother Boromir, Faramir grew up loving books rather than warfare and excelled with the bow over the sword. Where Boromir is brash and bold, Faramir is quiet and deep-thinking, but you’d be hard-pressed to find two brothers more close. After Boromir’s death in the War of the Ring, Faramir bore the brunt of his father’s ire and the burden of the command of Gondor’s forces. The price of the strain was almost his life. But when the Ring was destroyed and Sauron fell and peace came to Middle-earth, all the years of sacrifice and forbearance were repaid when he found love with Éowyn of Rohan. I was very young when I was first introduced to The Lord of the Rings, no more than eleven or twelve, still dreaming about fairy tales and Prince Charmings. Then along comes the greatest fairy tale of them all. I loved Faramir with all my little heart before I even understood what “love” meant. I wept at the cruelties he endured and admired his strength of spirit and the goodness in his heart. Most of all I wanted him to be happy, and I was overjoyed when he found Éowyn. I have been a fan of Tolkien's work since childhood; anyone who has met me can attest to this. His world and characters have taught me so much about facing adversity, making choices that you cannot see the outcome of, and preserving the dignity of others (even when it's hard). Considering those factors, these are the three that automatically brought something to mind. 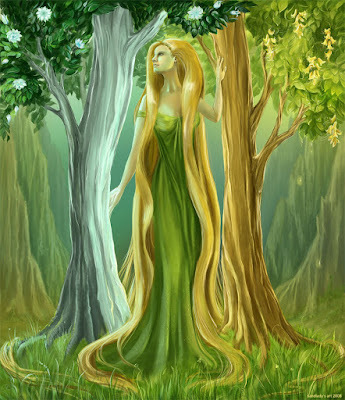 Yavanna is featured in The Silmarillion; you should definitely read it if you have not done so already. She is one of the Valar, a being created by Eru to help form Middle-earth. Her name literally means "giver of fruits" as she was the one to bring things that grow to Middle-earth. Her story is a bit complex, but she's quite loveable. Basically, whenever Melkor or one of his agents destroys life or one of her creations, she is the one that never loses hope. This even leads to the creation of the Sun and Moon! Her husband Aule (also known as Mahal in Khuzdul) created Dwarves to aid him in industry. As the story goes, Yavanna started crying as she feared that her husband's creations would destroy all of her beloved trees. In response, Eru created Ents as a gift to her. She sent the Maiar Radagast to help save Middle-earth. She's kind of my favorite. Peregrin Took is featured in The Lord of The Rings as a member of The Fellowship. At the beginning of the journey, Pippin, along with his cousin Merry, are in the equivalent of their late teens. He is still very much discovering his identity when the opportunity to go on this quest arises. His role is not just that of comedic relief, it is a coming of age journey. We see him grow from a curious (to a fault) young hobbit with noble intentions to someone with true grit, integrity, and an indomitable spirit. One of my favorite quotes from the series comes when Pippin is speaking to Beregond not long before the battle of Pellenor. I love the hope in his heart along with the care he has for nearly everyone he meets on his journey. In fact, you can read more of my opinions on this darling hobbit here. Gimli is from a long line of proud dwarves who have strong opinions about pretty much everything. His character growth is quite touching. As a member of The Fellowship, Gimli is forced to come to terms with his own shortcomings and prejudices in a way that many of the others did not have to. Dwarves, especially Durin's folk are notorious for not getting along with elves. Considering his family's past with Elf-king Thranduil, I find it wonderful that along his journey Gimli grows the closest with Legolas. Their friendship continues to the Undying Lands as a special exception is made for him (after life, dwarves normally go to the Halls of Mahal), and he is the only dwarf to reside there. Gimli is a wonderful example of letting his own experience shape his worldview instead of letting his culture shape it. Smaug is by far one of my favorite characters in The Hobbit. Every time I tell anyone that, they tell me, "But Tolkien's dragons are personifications of evil!" I know. I'm horrible. Let's move on. (I really, REALLY love dragons. I sometimes wish that I could have my own dragon. I also wish I could breathe fire and roast marshmallows.) Smaug is a grumpy dragon that yells ,"GET OFF MY GOLD" when little kids come to retrieve a wayward arrow. He wants attention, and he'll (unfortunately) seek it however he can, even if it means destroying an entire village. He knows that he terrifies people and uses his power to get whatever he wants. On the inside (no matter how many people tell me off), I think he's a little kid dying for affection, albeit a selfish little kid. In one behind the scenes video, Adam Brown (Ori) and Graham McTavish (Dwalin) were having a conversation about Kili's appeal to the fans. "Aiden Turner is the 'hot one,' I suppose. If you like that kind of thing," said McTavish. Brown added, "But if you like knitted cardigans and knitted mittens, then I’m your fella!" That is why Ori is my favorite dwarf. He's shy and cuddly but has a bit of a wild side (as seen at the meeting at Bilbo's in the first Hobbit film). He doesn't like green food (can you blame him?) and would much rather the elves served something edible, like pork or bacon. He's loyal and will do anything for his friends. When my dad first read The Hobbit to me, Fíli and Kíli were my favorite dwarves. I'm not exactly sure why, except that they were so youthful and fun that they reminded me of myself. I loved every mention of them throughout the whole book. I also pictured them both like variations of Dopey from Snow White, which is interesting because the dwarves were actually based off of the Snow White fairy tale by the Brothers Grimm. At the end, Tolkien lets us know that Fíli and Kíli died in battle, and I remember being extremely upset. If you ask me for a good example of a mentor in fiction, I'd definitely have to point you to Gandalf the Grey. He's an incredible wizard with immense power who took the form of a humble old man. He took on the Fellowship even though he probably didn't want to. He's the one who ties the entire Fellowship together, and without them, they'd probably be lost. In fact, they were lost without him when the Balrog took his life. One of my favorite character arcs in fiction is that of Gandalf's, in which he dies, then comes back as Gandalf the White. The moment where he reveals himself in the Forest of Fangorn is so touching. In general, Gandalf is one of my favorite Tolkien characters and one of my favorite characters of all time. His power, his goodness, and his courage are incredibly important to me, and I'll forever carry his impact in my heart. When it comes to Tolkien, it's very hard to choose favorite characters. I want to gather them all together into a giant hug (you too, Boromir) and just cry. I love them that much. Tolkien is known for writing one of the greatest fantasy epics ever. And I think a lot of that comes from his fantastic cast of characters. Whether it's thirteen dwarves or the nine members of the fellowship or the random characters in between that help along the way, each character Tolkien brought to life is unique and important to the story. But still, there are some that seem go to beyond the normal "awesome" and reach a whole new level of epic. These three are, in my opinion, some of those epic, unforgettable characters. If you've read the books, you know who Glorfindel is. If you haven't, I'm sorry. You've been deprived of meeting the most badass Tolkien character created (with the exception of Eowyn). 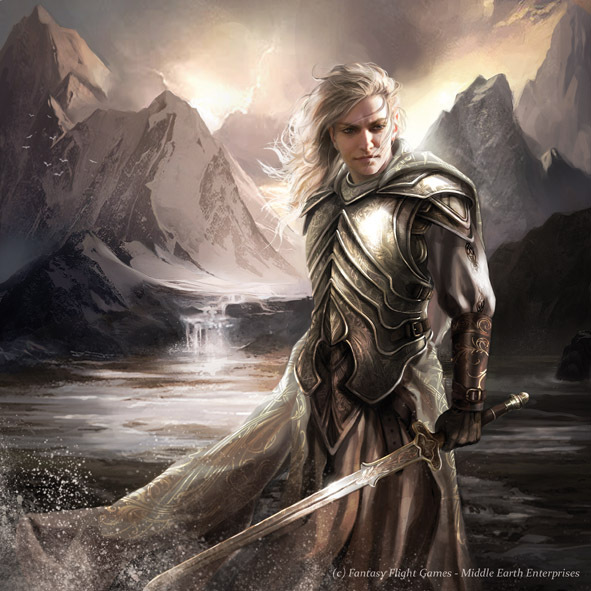 Glorfindel is one of the first elves Tolkien ever created. He's a pretty elf with blond hair, hence his name. 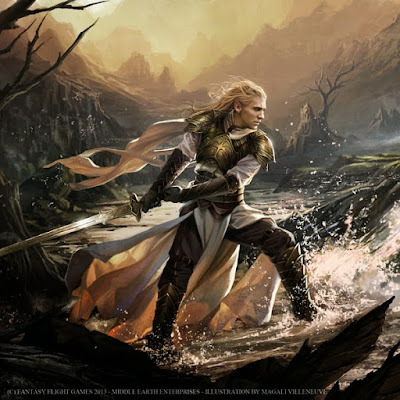 Glorfindel literally translates to "blond, golden-haired." (Tolkien, I love you.) Glorfindel appears in several places during the entire history of Arda: The Silmarillion, The Book of Lost Tales, and The Lord of the Rings. He's most known for helping Frodo escape from the Ring-Wraiths in order to reach Rivendell during The Fellowship of the Ring. Yes, Peter Jackson replaced the epic Glorfindel with Arwen. Now, I'm not here to snub Arwen--she is wonderful in and of herself. But she. does. not. appear. in. the. books. Not truly. She's mentioned to be in Rivendell, but she doesn't say anything or do anything. Aragorn isn't falling helplessly in love with her every other second. We don't need Arwen in the books because we have Eowyn. Ahem, sorry. I'm only enraged by this switcheroo because of how insanely awesome Glorfindel is. Not only did he help Frodo on the quest to, I don't know, rid the world of the evil lord Sauron, but he's done many other great things. First, he leads a lot of armies and defeats a lot of bad guys. He helped fight against Angmar during the Third Age. Second, he caused the Witch-King to flee just by his awesomeness, and he predicted that the Witch-King would not be killed by a man but someone else (that someone else would be Eowyn). Third, he fought and killed a Balrog. By himself. Okay, let's just pause here and relish in the glory of who Glorfindel is. He killed a Balrog. A Balrog. The big, fiery demon thing that took every ounce of Gandalf's power to kill. Gandalf, a Maia. Sure, Glorfindel did die after the fight. (I'm not sure anybody can quite survive that kind of ordeal.) But he didn't stay dead, apparently, because he came back during the Second and Third Ages. Basically, Glorfindel is the most badass elf to ever exist, and it's a crime he didn't appear in the movies. Peter Jackson, this is the one thing I will never forgive you for. 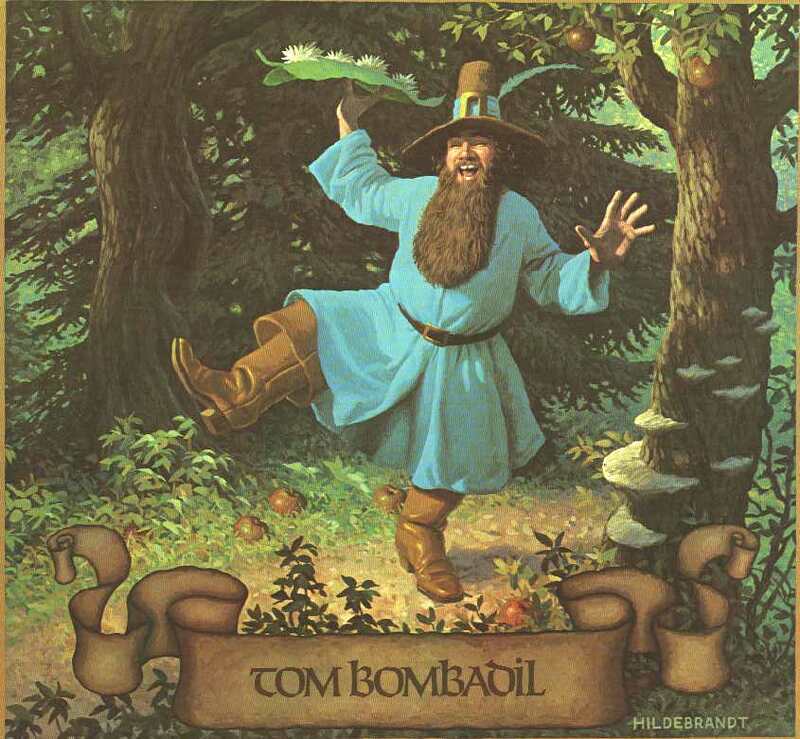 Tom Bombadil is his own being, and he lives in his own world of the Old Forest. He's mysterious and interesting. He sings to trees. He's married. He's possibly the oldest person in Middle-earth. Frodo almost gave him the Ring, but later, Gandalf comments that Tom Bombadil would have thought the Ring wasn't important and would have simply misplaced it. It has no power over him, which is an enigma as well. Tom Bombadil is epic simply because he's Tom Bombadil, and he does what he wants. Your argument is invalid. I can't discuss favorite Tolkien characters without mentioning my absolute favorite: Samwise Gamgee. Sam likes to hear stories and wonder about the world, but in truth, he's just a hobbit who loves to watch things grow. He embarks on a journey with Frodo by chance, it seems, and ends up becoming one of the greatest heroes. Tolkien himself said Sam was the chiefest hero--the true hero of the story. Without Sam, Frodo wouldn't have gotten far. Sam is loyal and trustworthy; he's brave and sweet. He doesn't give up when it comes to his friends or the fate of Middle-earth. He moves forward, he keeps going. He has to deal with Gollum and Shelob and hordes of orcs. But he does it; he pushes through in order to get Frodo into that terrible mountain to destroy the One Ring. Samwise Gamgee makes me want to cry and laugh and jump up and down all at once. He will always be a favorite character due to his brave heart and simple thought process. He brings hope into the story when the characters are in the most hopeless of places. He gives great speeches, and he makes profound statements. (Seriously, just go watch this scene and cry.) Sam is the one who helps save the day, and he's the one who received the happily ever after. He doesn't give up; he keeps fighting and moving forward. I want to be more like Sam. That there's some good in the world, Mr. Frodo, and it's worth fighting for. Who are your favorite Tolkien characters? 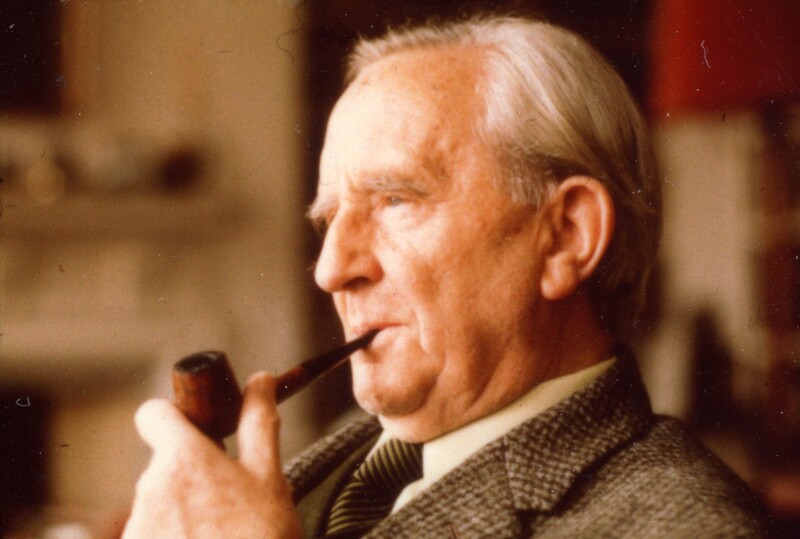 How will you be celebrating Tolkien Reading Day?